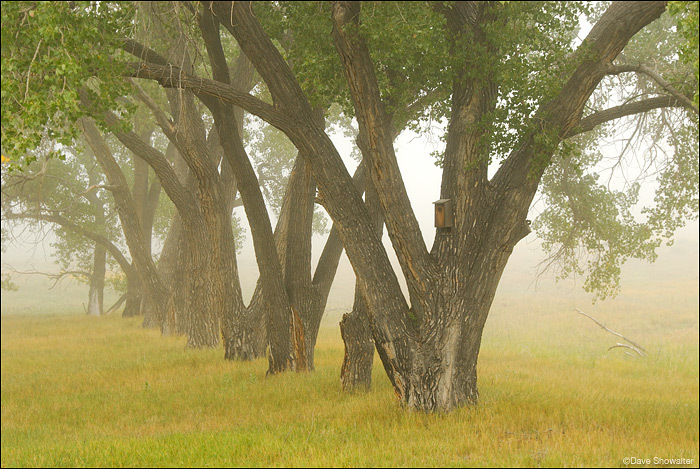 Cottonwood Trees in a perfect line are the only reminder of this early 1900's homestead. The farmers who homesteaded this land were evicted for bomb building during World War II. Photo © copyright by Dave Showalter.